Weight Loss: Why Can't I Lose Weight? Sometimes we put on weight for surprising reasons. One out of four Americans doesn’t get enough sleep. And it may be that missing sleep is contributing to the obesity epidemic. Dozens of research studies have sought a connection between childhood obesity and sleep, and most have found an association. Whether being overweight makes it harder to get enough sleep or sleep causes obesity is not known. Other studies have looked at overweight adults. Those results also suggest a connection between weight gain and getting more than nine hours or less than five hours of sleep. It could come down to hormones. Hormones related to appetite and calorie-burning—leptin and ghrelin—are affected by sleep patterns. Then again, people who sleep less tend to feel exhausted, making workouts less likely. Whatever may be the cause, you may want to work on sleep hygiene if you’re having trouble losing weight. Drinking water is good for your body. But drinking more water than you need to fight off thirst is often touted as a miraculous weight loss trick—specifically drinking eight glasses a day or more. There is little evidence that this works, however. It turns out that drinking water—whether it’s ice cold or room temperature—burns only a tiny number of calories. So relying on this scheme to shed pounds won’t get you very far. On the other hand, people sometimes eat when they’re actually thirsty. So quenching your thirst before taking a bite is not a bad idea. It’s also better to reach for a glass of water than a sports drink, soda, or caramel latte—any drink with calories will affect your diet, but with water there’s no need to worry. You may have heard that eating lots of tiny meals throughout the day keeps you feeling full without extra calories. But there is hardly any scientific evidence to support this. Not only are small, frequent meals taxing to prepare, but they can actually backfire, causing you to eat more because it can be hard to stop once you start eating. If you want to fuel your body this way, go for it. But it doesn’t matter whether your limited-calorie diet is eaten throughout the day or simply two or three times a day. The most important thing is to eat a balanced diet with the appropriate number of calories. If you lead a busy life or are just not a fan of cooking at home, you put your body at the mercy of the restaurants you order from. 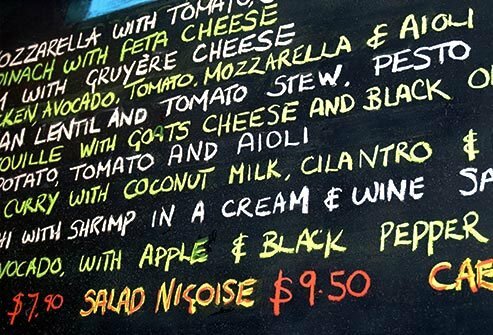 Even dishes advertised as “light” can have more calories than you bargained for, and many restaurants, particularly smaller establishments, don’t list their nutritional information so you can see what you’re actually eating. There’s even evidence that people who eat lunch from restaurants outweigh those who prepare lunch at home by five pounds on average. Does this sound like you? You sit in the car to work, then walk to an office where you sit for most of the day. When you get home, you’re worn out and just want to—can you guess? Sit down, maybe watch some TV. All of that sitting means your body isn’t moving as much as it should for your best health outcomes. Studies have shown that people who spend more time sitting tend to weigh more. But some studies say weighing more leads people to sit more often. Which causes the other is a complicated business, but here’s something that’s well known: when you sit, you’re not walking, doing housework or getting up and moving around much. 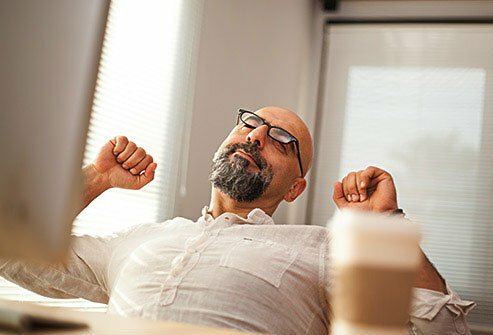 All of that time that could be spent burning a few more calories through activity, and fitness is being sapped by taking a seat. So carving out more time each day to get moving can only help. Some people figure that by working out they can justify an extra helping of pasta at dinner. That may not be the case, however. We tend to overestimate the calories we burn when we work out, and technology doesn’t help. In one study, researchers found that the average cardio machine overestimates calories burned by 19% on average. In that study, elliptical machines were the worst offenders, overestimating by an average of 42%. That adds up over a year of exercise! Fitness watches showed similar problems. Alcoholic beverages may be growing your midsection more than you realize. 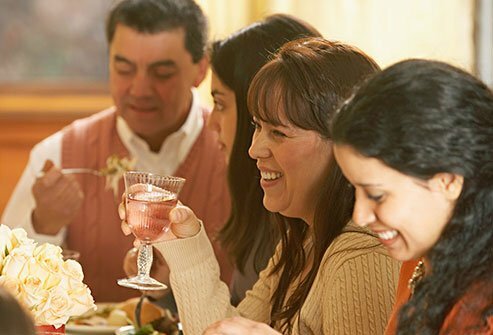 For many Americans, a drink or two a day is common. But that can really add up. Someone who drinks two shots of vodka a day adds about 1,400 calories to their diet each week—that’s most of a day’s worth of calories! And wine and beer add even more. 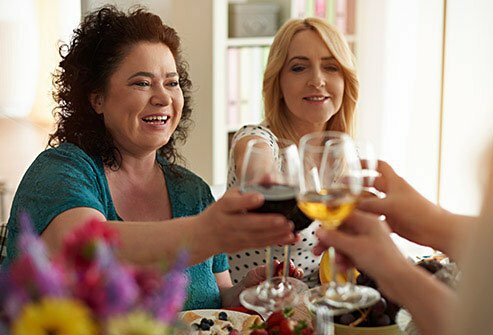 Two glasses of wine a week add close to 1,600 calories to your weekly tally, and two beers a day add 2,100. So if you’re ready to get serious about weight loss, consider putting the beer mug down for a while. Have you heard of emotional eating? When you’re stressed out, eating can become an attempt to fill an emotional vacancy in your life. 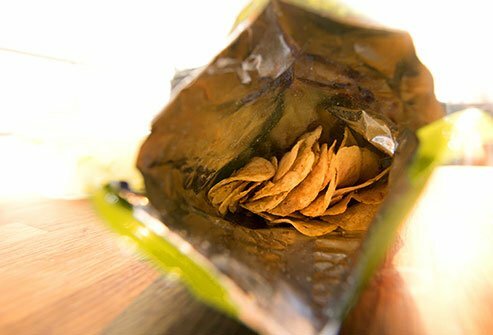 That often means mindless snacking on high-calorie foods, which packs on pounds. One study had researchers examining locks of hair for the stress hormone cortisol. They found a significant relationship between waist size and high body-mass index (BMI) for participants who showed signs of long-term stress. There’s a silver lining to all of this. You can ease stress without stretching out your wardrobe. Exercise can be a great way to burn stress as well as lose weight. And relaxation techniques like meditation, yoga, deep breathing, and massage can bring peacefulness into your life—no calories required. Grab-and-go meals are tempting for any busy adult, and most of us fit that category. When your family and job take all of your time and attention, overeating high-calorie convenience food is all too easy. 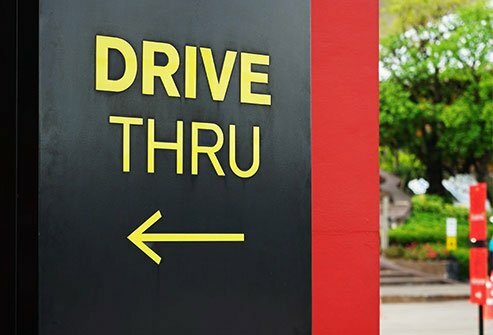 What’s worse, fast food tends to be low in fiber, and fiber is the key nutrient that keeps you full longer, meaning you’ll want to add an extra cheeseburger or soda to that order just to feel satisfied. The solution is to plan ahead. Start by preparing convenience foods of your own in advance. Look for easy-to-prepare, high-fiber options like beans and salads that can be whipped up as soon as hunger strikes. As you get better at this you’ll begin to see your waistline shrink, as well as your food costs. Sometimes weight gain is related to an underlying health problem known as hypothyroidism. Hypothyroidism occurs when the thyroid gland produces too little thyroid hormone. It’s more common in women. The symptoms of hypothyroidism can be subtle and may include a slow heart rate, thinning hair, a puffy face, a hoarse voice, exhaustion, depression, muscle pain, and feeling cold when others are not. The good news for those who suffer from this condition is that it is treatable with daily medication. So if those symptoms sound familiar and you’d like to be checked out, discuss the matter with your doctor. 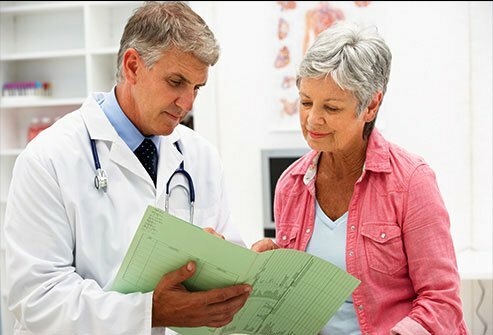 A doctor can help you get your thyroid hormone levels checked and recommend a treatment or a specialist. Women do and should put on weight when they are pregnant. A healthy, pregnant woman is expected to gain about 25 to 35 pounds. If you are overweight or obese, those numbers should be lower. If you are expecting and find yourself gaining more than this, there are ways to keep your body in check. Try going for a walk after meals. Eat fresh, whole foods like lean proteins, whole grains, and fruits and veggies, which are good for both you and your baby-to-be. There are also lots of exercises that are healthy for expecting mothers, though there are also some that should be avoided, so talk about it with your doctor before beginning a new routine. 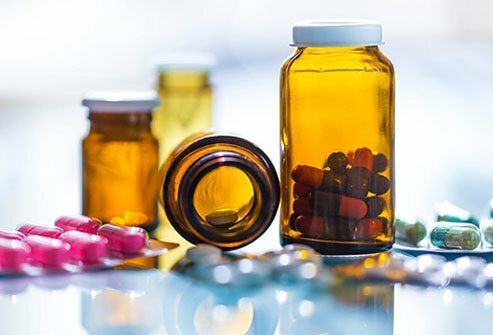 Sometimes prescription drugs interfere with some aspects of your health, including this one. Steroids can stand in the way of weight loss, as they can hamper your metabolism and make you feel hungrier. Antihistamines are another culprit. They cause your appetite to increase. 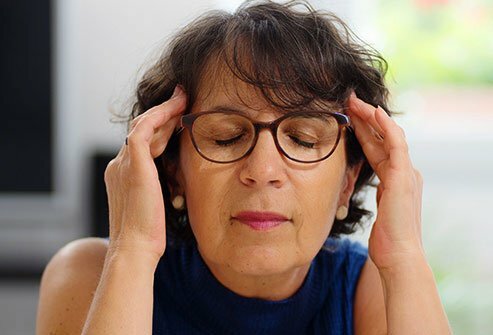 While some antihistamines may be more responsible for this than others, there haven’t been any studies showing side-by-side comparisons between antihistamines and hunger, so until those studies have been performed, you will need to apply trial and error if you want to avoid hunger and continue to keep your hay fever at bay. Menopause and the hormonal changes it brings impact women’s bodies in many ways. And yes, extra body fat is often one. 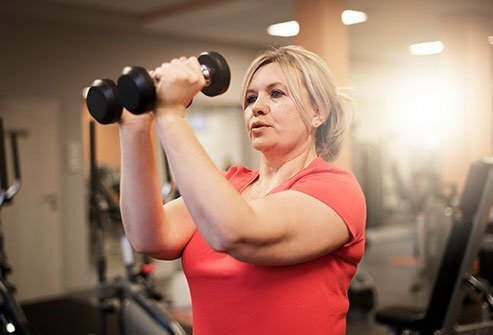 Menopause slows down the metabolism, meaning women gain an extra 10 pounds on average during this time. Also of concern, menopause changes the way the body distributes its fat. Fat is more likely to be stored around the belly during this time, and that has consequences for cardiovascular health and can cause insulin problems. Does menopause mean you’re doomed to get fat? Not at all. Diet and exercise can still help you lose weight. One study followed 17,000 postmenopausal women and put some of them on a diet filled with fruits, vegetables, and whole grains. The ones on the diet were three times as likely to lose weight. What’s more, they also had less frequent hot flashes. 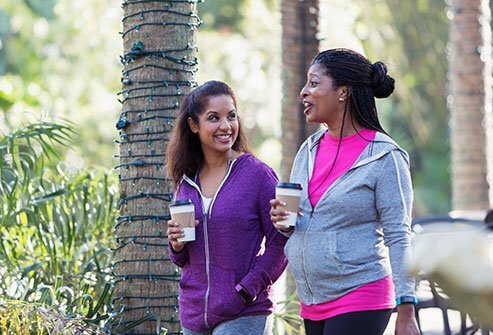 Other researchers studied more than 500 premenopausal women and had about half reduce their calories and increase their physical fitness. Those women had smaller waists on average and were more likely to be at or below their starting weight after five years. There’s nothing wrong with sculpting your body or building muscle through resistance training. But if your weight loss strategy relies on weight lifting, you may be disappointed. There are basically two types of exercise. One is aerobic, and includes activities designed to get your heart beating faster over a longer period, such as cycling, walking, rowing, jogging, and jumping rope. The other is anaerobic, in which you work out at a high intensity for a brief period, making your heart beat even more intensely. These activities make your body perform better in short bursts and include weight lifting. Studies tend to confirm that for burning fat, aerobic exercises are the clear winner. They keep your heart rate up for a longer duration, which leads to more energy burned, and that equals weight loss. Anaerobic exercise helps too, but not nearly as much. So while both exercises are good for you, they serve different purposes. And if you’re going all-in on weight training, you are missing out on the fat-burning power of cardiovascular workouts. Don’t drink your calories! It’s easy to fall into the habit of chugging a soda, juice, energy drink, caramel latte, or sports drink here and there throughout the day. Each one adds calories unless you’re drinking the calorie-free variety. And it becomes harder to shed fat on two fronts. The first problem is hunger. Although sugary sweet drinks add calories to your daily tally, they don’t sate hunger. Your body barely registers them as food, so it’s easy to sip down several without feeling full. The other problem is that even a couple of sugar-sweetened drinks per day add up quickly. Research shows that 1 out of every 4 Americans drinks at least 200 calories every day. If you add that to your diet each day, that’s 73,000 calories over the course of a year. That’s the equivalent of more than 20 pounds of body fat. So just dropping those drinks from your diet can help you lose a lot of weight over the course of a year. Sometimes junk food masquerades as something healthy. How frustrating! You can save yourself the frustration by identifying these health food fakers. 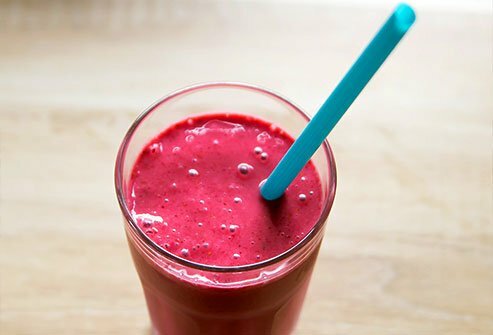 Juice and Smoothies: Just because it’s made from fruits and vegetables doesn’t make it healthy. These seemingly healthy foods take one of the biggest benefits of fruits and veggies—fiber—and remove it, leaving lots of sugar most of the time. Green juices may be better bets if you need your fix. Smoothies may also contain ice cream or high-fat yogurt, so check the ingredient list carefully. Protein Bars and Granola Bars: Sure, your mind probably thinks of athletes and long hikes when you see these on the grocery store shelf. But the average protein or granola bar has as much sugar in it as a candy bar. Multi-Grain and Wheat Breads: You spot this bread on the grocery aisle and you vaguely recall something about whole grains. After all, wheat is a grain, right? The problem is that these aren’t healthy whole-grain breads unless the packaging specifically says so. When in doubt, check the nutrition facts for fiber content. Whole grain bread should have about 3-5 grams of fiber per slice, which is what makes it a healthier alternative. These health food fakers often have 1 gram or less. 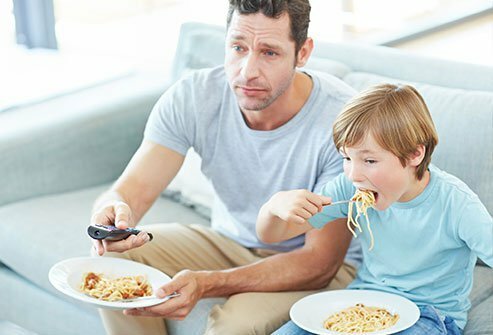 While it doesn’t pack on pounds all by itself, the more time you spend chowing down in front of the television, the more likely you are to eat mindlessly. That’s risky for anyone who wants to change their dietary habits to lose weight. Studies show that distracted eating usually means eating more. When you’re distracted, you tend to forget what you ate and how much you ate, and that means you’re likelier to eat more later on. It takes about 20 minutes for your stomach to tell your brain that you’re full, so slowing down and savoring food helps you remain content with less. So instead of munching in front of the TV, try eating without distraction. Take smaller bites, chewing well. Set a timer for 20 minutes before going back for second helpings. Another trick is to eat with your less-dominant hand, which forces you to pay attention. Losing weight and keeping it off can be a frustrating challenge, and the odds are against you if you don’t reach out for help. Fortunately there are many dedicated professionals trained to help in the specific ways you need to reach your healthy weight and stay there. The first person to go to is your primary care doctor. Your doctor can offer referrals based on your specific health history and needs. A doctor may refer you to a personal trainer, whose job it is to develop exercise routines tailored to your body and your ability. A therapist may help by exposing the areas in your life that lead to emotional eating and other unhealthy diet patterns. Dietitians can provide guidance and meal planning advice, and even take you shopping to discover the tasty foods that will help rather than hinder your journey. 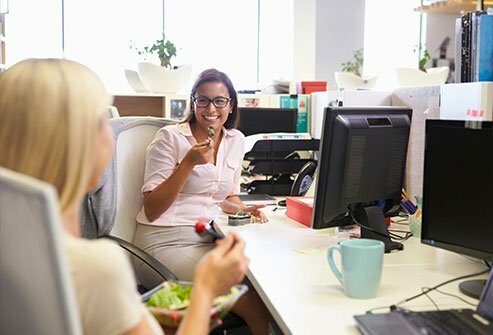 Finally, if you’re one of the many people who engages in stress eating, reducing stress with the help of a meditation or yoga instructor could have a profound impact on your ongoing health. If you want to change anything in life—whether it’s earning more, improving your relationships, or slimming down—goals can help. 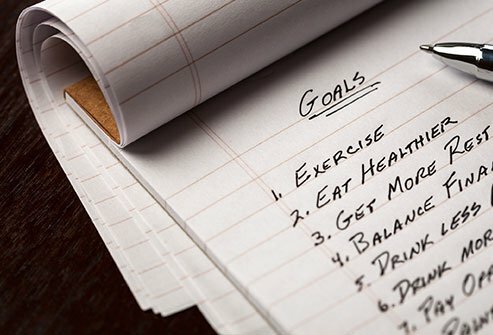 Setting goals can help you lose your excess fat, but it may be even more important when maintaining your new, healthier lifestyle. And there are a few rules that can come in handy when setting such goals. First of all, make your goals specific. Just expecting to eat less isn’t enough—decide how much less, specifically. What foods will you cut from your diet? What will you add? How often? Also, if your goal is measurable, you will have a standard to use to decide whether you’ve been faithful to your goal or not. Finally, make sure your goal is trackable—something like losing a certain number of pounds over a certain period of time. If you don’t reach all of your goals, another important step is forgiving yourself and starting again. Every day offers a new opportunity to start achieving the health progress you want and your body needs. Journal of Nutrition Education and Behavior: "The Effects of a Mindful Restaurant Eating Intervention on Weight Management in Women." University of Michigan University Health Service: "Weight reduction." 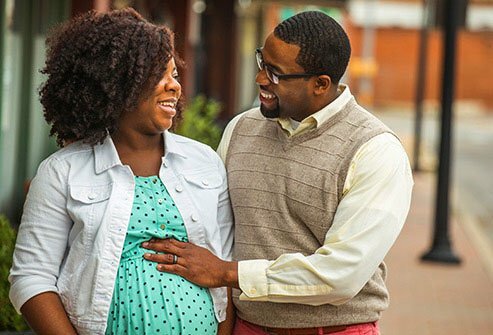 University of Utah Health Radio: "Rethinking how much weight to gain during pregnancy."